While heat pumps are not a traditional supply shifting technology, they can replace burning natural gas with efficient electric power and they do shift heat in the desired direction. Hydraulic fracturing has driven down the price of natural gas from a high of $13 per million British Thermal Units (mmBTU) in 2008, natural gas prices have plummeted to below $2.50 per mmBTU, nearing record-setting lows, a game changer for both coal and renewables. Is the process worth the risk? According to Amory Levins of the Rocky Mountain Institute, all new central thermal power stations are now obsolete and uncompetitive. 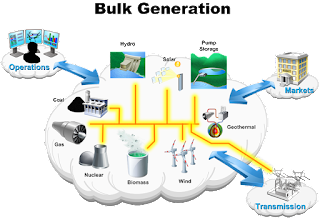 What will a larger number of smaller-distributed power plants mean for the Smart Grid?